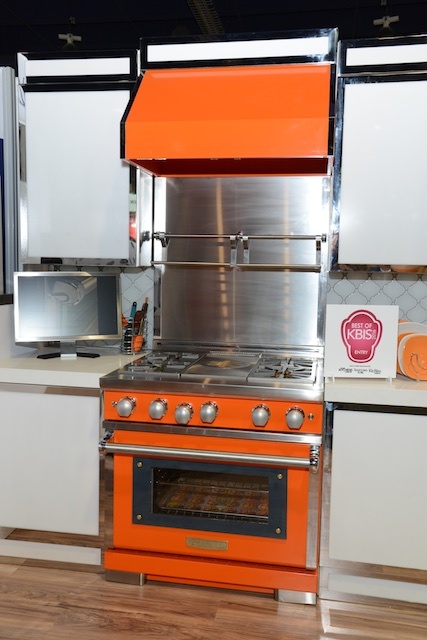 We found some great new colorful trends for the kitchen that we have added to our Lifestylist® List. Which ones would you like to see in your home? 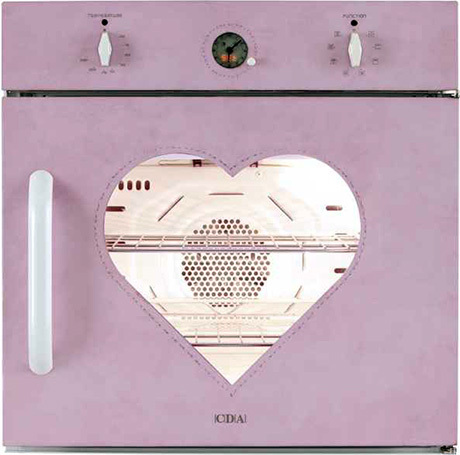 Sure, this CDA oven is cute, but is an oven ensconced in pink leather with a heart-shaped window a little too personal? Flippers and developers use what’s worked successfully in the past. People who renovate their own homes love looking for new cool things. If you’re like me, using the same item twice is almost lazy. The only pieces I’ve used before in my latest renovation are a Bosch dishwasher (they’re just good) and a Grohe Ladylux kitchen faucet (For the record, no, I don’t feel like a lady – lux or otherwise – when I use it). There’s a reason that a gorgeously designed kitchen adds tremendous value to a home. 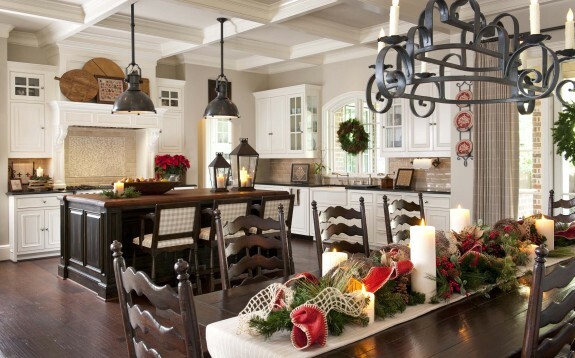 Today, kitchens are both major entertaining areas and family hangout rooms. But ultimately, the kitchen’s original purpose — food preparation and storage — is still its most important function. Whether you’re designing your new kitchen to last a lifetime, or remodeling an old kitchen to sell your home, you want your kitchen to be both functional and aesthetically pleasing to the eye. The following are a few helpful tips to keep in mind as you begin your kitchen design project. First, a little history: the kitchen has evolved more than any other room in our homes over the past few centuries. 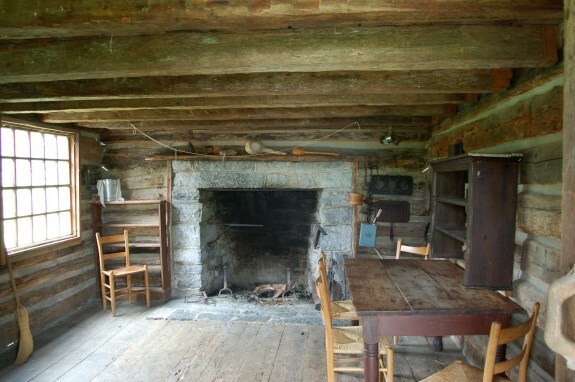 The first kitchens were in the center of the house and only had an open fire pit. Over time, the fire pit became a large fireplace with hooks, which were used to hang iron kettles. Water was brought from an outside well; later, a hand pump was placed at the sink. In the first kitchens there were only freestanding, handmade cabinets, rather than attached ones. Summer kitchens, which were used for canning food and preparing meals for harvest workers, were separate buildings on large farms. Then, in the 18th and 19th centuries, with the invention of piped-in gas, electricity, and running water, we began to see the kitchen as we know it today. The first standardized kitchens were built for factory workers in Germany, where researchers developed kitchens that worked in a small space. This is where the working triangle was first developed, which we still use today in planning an efficient kitchen. In the 1940s and ’50s, small electrical appliances started coming on the market, such as toasters, mixers, and coffee pots. Today, we’ve found great ways of hiding these appliances and getting them off our countertops. Has the modern kitchen changed as more hosts invite guests to join in on the fun? Since the 1980s, kitchens have become a major entertaining area in the home. 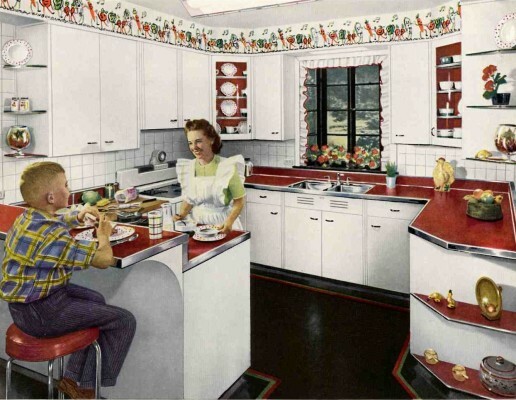 Because of this, kitchen designs have changed as well: kitchens now have islands for preparing food, an open floor plan, and little separation between the den and breakfast room. As kitchen areas are growing, the formal living room is dwindling to a small sitting room or multifunctional library and music room. Many kitchens today also have a small office attached, or at least a convenient desk. Should I bother incorporating architectural elements into my kitchen design? 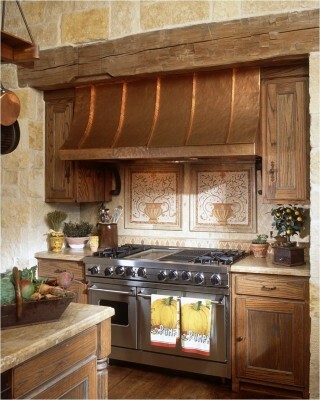 incorporate architectural elements such as fireplaces, stone arches, beams, and spectacular vent hoods. 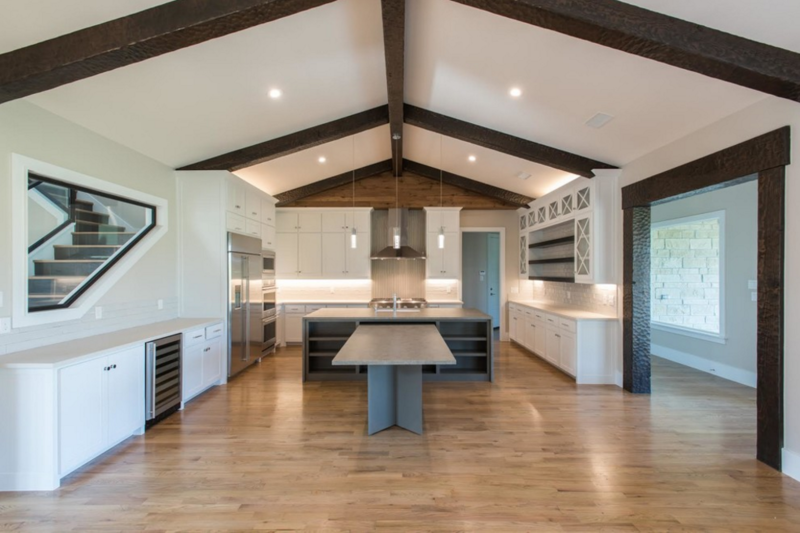 Some of the most interesting kitchens incorporate architectural items that need to be purchased while the design process is in its infancy stage. This way, the architect can incorporate these items into the architectural drawings. How should the kitchen blend with the rest of the house? Always make sure your kitchen is a continuation of your house’s style, from its color scheme to its basic architectural elements. If you have a traditional French house, you should have a traditional French kitchen, not a neoclassical or Georgian-style kitchen. If your home is modern, your kitchen should be equally modern. Cabinets set the tone for the kitchen. What attracts you: traditional panel doors, Victorian bead board, rustic, totally plain, or glass inserts? As the furniture of the kitchen, cabinets have the greatest impact on the overall look and feel of the kitchen. Choose cabinets with design details, materials, and colors that complement your kitchen style the most exactly. One of the first decisions you should make when you design your kitchen is your countertop and backsplash design. The backsplash has a huge impact on the overall feel of the kitchen. Whether you choose marble, granite, quartz, tile, or another material, there are thousands of combinations, colors, and finishes from which to choose. Make sure to have a tile design drawn up for your tile installer. If you are interested in using green materials, your designer can help you make those selections. Appliances and flooring: what works? Appliances are one of the most expensive purchases for your kitchen, so make sure you research brands and styles that best fit your needs. When it comes to choosing floors, think durability. Wood is great; these days it comes coated in polyurethane and can be mopped down daily, unlike old waxed floors, where mopping took the color out. You also want the kitchen floor to complement your house’s overall color scheme. Again, the choices are endless. Some of my favorites—depending on the style you are going for—are stained scored concrete, terracotta, and slate tiles. Using a dark grout around the tiles helps to make caring for your floors easy. If you’re thinking of designing a kitchen soon, it might be a good idea to keep a notebook of your favorites. When my clients do this, I start seeing a trend in their preferences, and the whole selection process speeds up. The extra effort you put into designing your kitchen will pay off in the end—whether it’s in creating an entertaining area, a state-of-the-art kitchen with gourmet appliances, or simply a beautiful room in which to enjoy breakfast.